Today I speak to Kim Somers Egelsee. Kim helps men and women find their passion and purpose, develop and design it, forget the fear and move forward with positive communication, action, confidence and success. She does this through coaching, speaking, mentoring and consulting. Kim is the #1 best selling author of “Getting Your Life to a Ten +”, a multiple award winning inspirational speaker, life coach, hypnotherapist, NLP Practitioner, columnist and TV host. 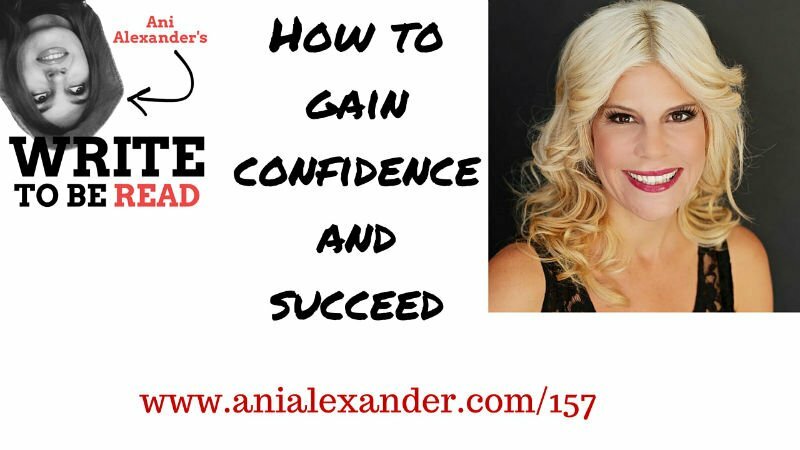 In this episode we discuss how important being self-confident is and how much it impact the success we are trying to achieve. If you are a loyal listener then probably you already know that the Write to be Read podcast is pivoting into something else and the new branding and name will be coming soon. All the details, explanations and answers are in a special episode that I have recorded for you. You can listen to the episode about all the upcoming changes here. 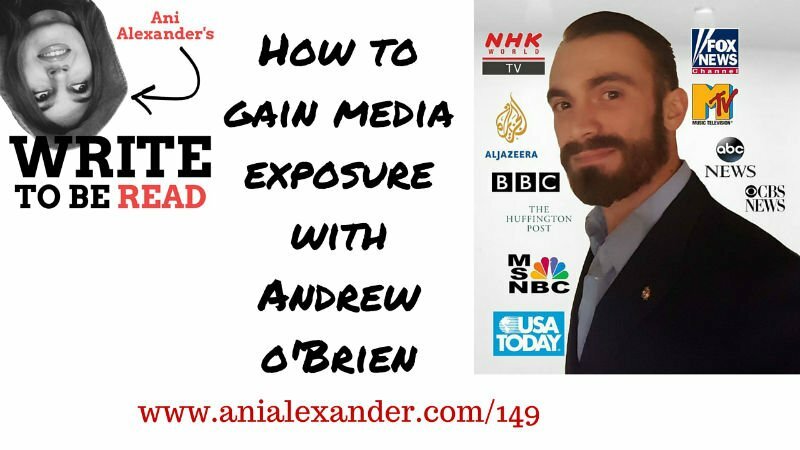 Andrew O’Brien is the founder of Patefactus which is focused on helping Entrepreneurs gain more media exposure and learn how to leverage that exposure to create a strong brand and build a larger and more interactive audience. He has been featured on over 70 media channels, many to include national/international media outlets such as MTV, USA Today, MSNBC, BBC, NHK World, Al Jazeera and many others. Along with his media exposure, he has become the most requested speaker in his industry, traveling around the world speaking to some of the world’s top government agencies and private organizations. It is because of Andrews’ success in the media that he was able to become the top in his industry and triple his fee’ in less than 1 year. Andrew’s goal is to help 500 Entrepreneurs triple their income through media exposure by the end of 2016. As I mentioned I did a small survey and it seems most of you really would like to publish your books but haven’t done so yet. So I have a new thing coming up. Actually it’s already live and it’s a self-publishing service for writers like you who have been writing who have the draft and don’t know what to do next and want to publish that book. So guess how it’s called? Well I decided not to go too far from what I’ve created already in terms of branding say so the thing is called Publish to be a Read and all you need is have your draft book just the drift manuscript – that’s all we need and we will do everything to save time and you can avoid all the intimidating get frustrating details of book publishing. We will do it all for you. It’s a one stop place where you get everything done and have your book published only in three weeks. Publish to be Read – Just check it out! Ani: Hello there and really happy to have you over Welcome to the Write to be Read podcast. Andrew: Thank you for having me on I’m excited to be here. Ani: Yeah it’s really nice. These days I’m actually receiving requests from people to be guests on my show which is pretty new to me, because usually I’ve been the one who have been chasing people around and looking for guests. But I’m still looking around social media and sort of trying to find people who would be interesting for my show. So I’ve seen what you’ve done and I decided that I definitely need to talk to you about media exposure to date. Andrew: Oh yeah I saw your post there on social media this morning. I ran having their you know look in and say no to certain people that’s always a good thing right? That means you’re getting a lot of requests and you’re having to be picky about who’s on the show. Ani: Oh yeah, I mean the funny thing is that I’ve always been picky about who I want on my show, even when I just started because I thought that these days people are busy and time is very valuable and if they dedicate 40 minutes to listen to my show I at least have to make sure that what they listen is of a good quality. 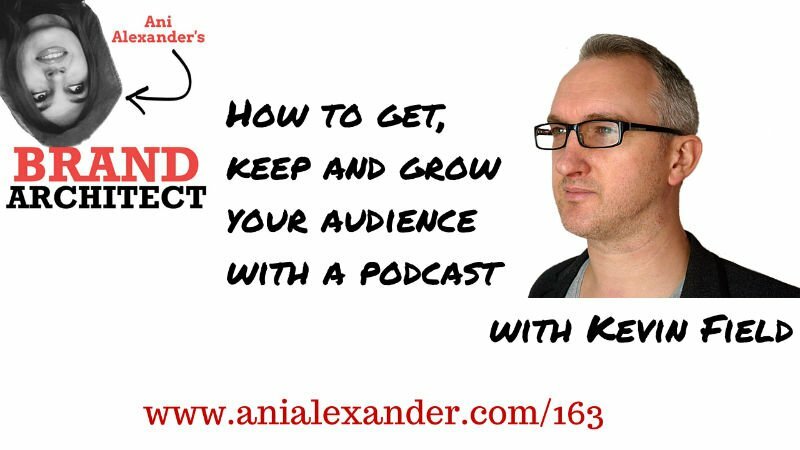 Andrew: Right, now that’s a good podcaster – always think of your audience. Ani: So let’s just start from the very beginning. How did you end up doing what you are doing now because I have a suspicion that that’s not what you’ve been always doing before. Andrew: Yes so you know, when I first started my career as an entrepreneur probably about three years ago I’m not going to say as a national I’ve been entrepreneur since I was a kid, when I first became a successful entrepreneur about three years ago. I started in the field of public speaking in trauma consulting so I was a public speaker on the mental health side and my topic was about trauma and overcoming trauma and overcoming obstacles and succeeding in life. And my biggest client was the United States military. And what I realized was in the first year as a speaker I was on over 50 media channels. And then after that, after that first year I kept getting more and more media coverage and what I realized was just how easy it was for me to get the media exposure that I wanted and how I never had to hire a PR firm and never had to hire a PR agent. I did it all myself and it was just it was very simple. And so it just made sense to me – hey this is what I should be doing I should be teaching entrepreneurs the ways that I did this for myself because I’ve been on USA Today MSNBC BBC NHK Al-Jazeera MTV oxygen. I’ve been on a lot of TV in so I want to teach our stories not just TV but how to get extensive media exposure and how to really benefit from it, because our biggest mistake my first year was I didn’t leverage media. I was getting all the media attention but I wasn’t growing my audience and making sales or I was just focused on getting the media attention adding that pretty little badge to my website and sort of actually leveraging and boosting my sales. So that’s actually what led into me getting into this. Ani: Ok I see. So basically that’s something that people end up asking a lot when they see someone being featured on different media which is difficult to get. OK so how do you do that you know how do you manage to get in there. So let’s dive into that a little bit. Let’s talk about our listeners who are most probably self-published authors and they are not big names. So we haven’t heard their names yet but they have a book out there and. They definitely need the exposure because they have to get visibility out there. So let’s say I have the book I have published it. I’m an unknown author. Where do I start? Because I guess with the time once you have been featured somewhere it’s easier to pitch. At the starting point what’s to be done? Andrew: Yes, so I always tell people whether they’re an author an entrepreneur or an investor or a finance advisor or whatever it is I always tell them you always want to start small so you want to start as an author you want to start with blogs and podcasts with you know less than a lot of followers. You want to just start getting your name out there and getting in front of more more and more people you want to take every opportunity to get on any media outlet that you possibly can. It doesn’t matter if they have five followers or five out of seven or 500000 it doesn’t matter how many followers a have you just want the constant media exposure and media exposure is always good for you it’s never bad for you. So I always tell everybody you know any chance you get take it and so especially as a self-published author if you’re just starting out you want to do a blog tour and you want to go to book reviewers and find book reviewers under special niche. And get them to review your book publicly on their blog and you want to go to other blogs that have to do with your niche and just asked to do guest posts and you want to go on a podcast with your niche and suggest and just introduce yourself and let people know hey you know I’ve got a book out in this here’s the book and give some valuable content on these part cast you want you want to start small and work your way big because I know you know I read just recently as I reach out as an author and say hey I don’t want to do the small stuff I just want to get on Good Morning America and I was I thought and I think we all do but that’s a little that’s a little march county doesn’t happen that way. You have to start small and you have to build that momentum and you have to create that name behind yourself before the big guys will even look at you. You want to have this massive media exposure on the blogs and podcasts before you go after the big podcasts and bigger media because they have to see a track record first. Ani: Yeah So let’s let’s just look at the practical part of it. Let’s say you have selected several small podcasts you want to be interviewed on and then you have to pitch them. I can tell loads of different ways that people do that but I want you to tell me the right way instead. Andrew: Yes so on my website I actually have something called the media outreach template and it’s free. And I’ll give you that link for your show notes but in this template it’s a fill in the blank template and is what you send out to podcasters and bloggers. The biggest thing is people see this template and they think or they hear about. I think this is a copy and paste into every podcast or every blogger out there and when I tell people is you never do that because all that does is frustrate people. All that does is aggravate people and people can tell when you’re just copy and paste things that are in this template. You have to do some research, you have to listen to one of their podcast, you have to read when there are blog posts, you have to make sure that it makes sense for you to be on the show and then you have to explain to them why it makes sense for you to be on our show. Ani: I wanted to tell that you definitely know when you’ve been sent a template or read a template.There’s no way not to notice that. Andrew: Right yeah I mean that’s why I created it I created general template. There I walk you through what you’re supposed to do with us not just copy and paste you know in the template says do research and listen to the podcast and tell the podcast host “hey you know on this episode when you said this it really taught me something and I was able to do this with that”. It’s just about you have to tell them why you deserve to be on our part cast unless you’re some famous person that’s just getting requests all the time. If you’re really starting out you have to take the time and research the podcasts and research the host and make sure that you are making a personalized you know and I’m just sitting and playing. Yeah I mean if you are writing to me that I have a new book coming out and I want to advertise it and talk about it on your part to cast that’s maybe not the right way to phrase that. Ani: OK so in that template I haven’t seen it but I presume that the reason the element of telling your story which is like justifying why you should be there and I’m getting people coming back to me saying yes but I don’t have a story which I don’t believe it actually is so what is your take on this. Andrew: So the biggest thing until everyone gets more out there so I have two different services for my first service is an online course where any entrepreneur can take it whatsoever. Now my second service is private consulting in I am very picky on that and here is the reason behind that is because I want to make sure that whoever I work with shares their why. Every entrepreneur has to have a story. Every author you have obviously has to have a story. So it’s about sharing your story and being transparent about who you are why you do what you do. It is not just about what you do it’s not just about the book sale it’s not just about becoming a best selling author. It’s about why do you want to become a best selling author and they can’t have to do with money. You know what is the passion behind what you do and that’s why you want to share your why. Because without your why you’re not going to make it very far in the media. Everybody in the media wants to make sure there’s a story behind your. Why do you do this what led it into it. Everybody wants to know your story and so I always tell people may show you get clear on your why and why did you write this book. Why you want to get the story out there as far as possible. Why why why. Because that’s what people want to know they want to know your passion behind what you do not just what you do. Ani: Exactly. I’m just wondering we all have our story. But we I don’t think we have only we have one core story and then we have many different stories that we can kind of use later in different situations. So do you think that if I research the media and I see that they are about certain something. Can I modify the core story to make it more suitable? One that will resonate more with that media outlet. Andrew: Oh definitely, because I mean if you think about you know I do partcast all the time so when I’m speaking to you right now in the molding everything around being an author right because I’ve self-published a book as well. Now when I go on podcast and talk about and on health it’s still a story and it’s still my story but I’m holding its focus on that crowd so I always mold my story to make sure that I’m talking to my core audience. The people that are going to be listening to me because I’m not going to sit here talk about mental health to authors that doesn’t make sense for me but you know it depends on on my media outlet that would be in front of her and I always mold myself to match that audience. It depends on who you’re talking to and what you want them todo. Ani: OK so you self published the book yourself… so can you tell me your why and your story about this. Andrew: Some give a little background. I was raised in a really rough life in the Dallas-Fort Worth area of Texas here in the United States and I experienced a lot of traumatic events from childhood. My mother was actually a prostitute and so that was where I was raised around and I would miss a lot of traumatic things as a child I grew up in and made some really bad decisions. In teenage years where I got into drugs and alcohol. I escaped bad life by joining the United States Army you know. I did a year in Iraq and then I served as a lead gunner for the United States Army. I got out of Iraq and came back home and attempted to take my own life and that was because of you know my chops, my childhood, plus the war. Then after that I came back. My mother actually was convicted of murder for murdering her husband and I had to testify against her in court and so it’s been a very crazy crazy life full of traumatic experiences. I heard about how I survived my suicide attempt and that hurt in 2012 that in the United States 22 United States veterans are taking their own life every day and that is what led me to writing my book. Because I realize that twenty two men and women that were just like me were taking their own life every day and I wanted to change that and I wanted to be part of something to change that. So that’s why I self-published a little, I mean it wasn’t even a full book it was a thirty two page booklet but that both is what got me into all of the media. When I first started. Ani: Ok I see I’m just you know trying to absorb all this right now … that life story of yours is at least one full novel itself which could turn into a movie later on. So I think you should write your own biography … wow. Andrew: I will actually work you know that we’re working on that right now. Ani: So yeah I see. So basically as you say that it’s you know I have everything you write has a story behind it and you had these two page thing that came out and led to many different things so. Do feel reached your goal with these two page thing in the very beginning? I mean do you feel fulfilled in terms of why you teach that as a result you’ve got? Andrew: Yeah so I mean it was a 32 page little book but it did a lot for me. It got me into the speaking market and that’s the main reason I wanted to do. It wasn’t because I wanted to sell books I am not much of a writer. I’m more of a speaker and so that’s the big day for me I got me into the speaker market where I was able to go and share my story to the people who need to hear it. You know I’m good on stage I’m not good at writing. But that’s way different so definitely happy with what it did now is not the ultimate goal I mean this new book that we’re working on now which is looking very good to me is like it’s actually published. That’s a lot more exciting for me because I thought you know it’s going to get that out a lot more people and I don’t have to write it. So that’s always the better part of it but yeah I definitely feel like that book did a lot for me for starting my career in getting me into the speaking market which is where I wanted to be. Because I wanted to share my story on a personal level and since then I’ve spoken all around the world. I’ve spoken here in the U.S. South Korea and Japan to soldiers sailors marines and airmen. Ani: Yeah I see. So I since we’ve touched the subject I’ll ask one more question and we’ll get back to to the media thing but since you’re writing that book this new book off your life I mean I have these challenges many people have this challenge of opening up and try to talk about such painful and personal stuff knowing that many people will eventually be reading that. How have you overcome that? I mean how comfortable you feel about actually revealing things which are not always so comfortable to talk about? Andrew: You know when I first started it was really really difficult. It is really difficult because you know I was telling some very very personal and intense part of my life that no one knew about. I mean people had known me for years and didn’t know about my childhood and that was something I always kept to myself and I was always embarrassed of. But what I realized was as soon as I took that step of actually sharing it which is the hardest part. It felt like every time I shared it was getting some weight off of my shoulders that had been there for a very long time. It was things that I was holding onto for such a long time and you know it was weighing me down and every time I shared it it felt like I was lighter a little bit lighter in a little bit louder until eventually it went away. You know sharing all these personal intense very painful stories over the past few years you know the first couple times of actually speaking on stage I broke down and cried as a man in front of crowd of men and it felt good to do. I don’t cry any more but the first six months I cried quite a bit. Whenever I go out and say it my personal intense story because it’s opened up some old wounds that I knew I needed to open up and heal when it was what needed to happen for me so I was able to help other people here as well because that was my whole mission my whole goal was to help people heal. So it definitely it wasn’t easy but it was what needed to happen to really help help the people I wanted to help you know. Ani: It requires lots of coverage not everyone can do that. It’s very impressive. So OK I mean we got into things I never thought we would be talking about you just so it’s kind of you know you drew me sort of just yeah OK so let’s get to it. Many people are not very comfortable being in public. I mean speaking in public and giving out interviews and stuff like that. And obviously if you watch these media exposure I mean no one you can outsource they help and you can outsource the services to get you there but you will have to eventually show up and do the interview. So what kind of tips do you have for those – especially writers are very introverted. Most most of them. So they may feel a bit shy and uncomfortable and tans. Is there any way to get over that? Andrew: Yeah, you know it takes a lot of practice. And so what I tell people in this is why you want to start small and work your way big TV news interview before podcast or blog or anything. My very first interview was with Fox News Austin which is a local news station here in Texas. In so they came out and they put this big old camera month face and they interviewed me and I was sweating in and I was anxious and I didn’t know what to do and it was my first time on TV. It was nerve racking to say the least. But that’s why I say you always are sort of small because you want to practice over and over and over again so right now you know if people are if there’s going to be authors out there that want to do a lot of video or that they’re getting on national TV news are they getting on TV. I would suggest going over to blab and in doing that in hopping on video calls their own blogging, blab and just starting the conversations or jumping into other people’s conversations and getting comfortable in front of a camera and getting confident because you’re going to be able to tell and you know when they’re watching you in the media if they’re confident or if you’re not now when it comes a podcast and blogs you know that that’s a lot easier. Blogs are written so that’s you know that’s probably the best area for authors where they’re going to strive the most. But when it comes the podcast is just a constant practice and you know small working away big in building their confidence so that by the time you get to the big fish it’s it’s much easier for you. Ani: Yeah I see and you know it’s interesting that you mentioned blabs because I mean I was one who felt really sort of tense and uncomfortable in front of camera. I almost never did video only once I did a Google Hangout on the first year and he was sorry off the cast because I thought that if people listened to me for a holiday here and never saw me maybe they deserve to see it so I had that one time and later on Periscope came up which serves to if you know it was praised and everyone said that you should try that. You know it’s a great way to build audience and to grow it and stuff like that. I tried it twice I hated it. But blab was the only channel which sort of you know health to me naturally think about me being on camera and think about what I sayand who I talk to rather than sort of you know how I look. Andrew: So I guess you know I testify that that it’s very easy very comfortable to be on camera when you are on blab so you can start there. Yeah but I suggest people my course and even my own clients you know I tell them you want you want to practice and it’s best to do it you know with random people online because this is going to be doing with part guest interviews another anyways. Ani: Oh yeah definitely. So let’s talk about the following. Let’s talk about another big why. I mean many people argue saying that you know why should I be on media I have my own blog, I have my own podcast let’s say the reason certain group of people who already know me I have some readers for my books. So what is it that it will bring me on top of that? Andrew: So you know I hear this question more than you would think a lot of the time. So like you know I don’t really need the media. I’ve got this going I’ve got that going in. That’s like saying I don’t need more money. I mean if you don’t need more money that’s great. I would love to be your friend didn’t you. But I saying you don’t need media is like saying you don’t need to scale your business like saying that you don’t need more sales you don’t need more people reading your book. You don’t need that as saying the same exact thing as that because media exposure is always always always good for you it’s always good to get your your book in front of a new audience. I mean always being on different pike as does your coffee getting fried. In front of a new audience in that’s what. That’s who you want to be in front of you constantly with a new audience is going to read your book buy your book and tell their friends about your book. I guess where you reach the same audience as the last podcast now they just keep hearing your name over and over and over again and then the people who didn’t choose to buy your book at first are now like will have to buy their book because I’ve heard them like five or six times on five or six different podcasts that I listen to. So that’s why it’s always when we get that massive massive exposure because listening to it if you listen to a car sales ad on the radio they say a phone number at least three times and the reason they say at least three times because marketing tells us that in order for something to stick in someone’s head you have to say they have to hear at least three times and so that’s what the media does it gets your name in front of someone’s very kind in someone’s brain multiple times where the OK I have to buy. Just like if you look at Facebook and you know that same ad keeps popping up over and over and over again you’re more likely to click like that ad the fourth or fifth time see it than the first time. Ani: OK. Yeah I see so. What is the role of the personality that plays in all this? I mean there are obviously people who are more charismatic and you know people who for whom it’s much easier to give a very interesting and intellectual interview and those who are not so much. So when you are working with your clients are you selecting them somehow or do you work with any type of personality and it will give the same successful results? Andrew: So when it comes to my clients when it comes to my private consulting the ones I had on that said I’m a lot more selective on that but not by personality. It’s more about where their goal is. I only work with you know my private consulting I only work with people who are trying to become the authority figure in their field trying to become like the top of their field that’s who I want to work with. So that’s what I focus on working with. You know my course as meant for every anyone what I tell everybody is I work with a personality because all I care about is what you’re trying to get out there not who you act like and the reason is because I’m not a very exciting person I am not very charismatic. I’m not very all over the place I just have an intense story. I’ve got a mission and got a purpose and I share my way but what I tell people is for those ones that don’t have this huge personality they stand out in just you have this shining light on them as I tell them just make sure you give valuable content during your interviews if you don’t have this do it ecstatic personality. Just make sure you’re giving that people steps that they can take that they’re going to listen to him and realize wow that really worked for me. So it’s all about the content not much about the personality. I mean if you had a fly on it if you have that exciting crazy personality that’s always good. That’s going to create more of a following for you a lot easier but for those of us that don’t have it I never tell anyone to fake it. Never pretend to have that people are going to notice that right off the bat. Yeah just be yourself and if you don’t have that personality just give good content so people will follow you. Ani: Let’s understand when we are pitching media and we are telling our story and we are just to find out why we would be a good fit for their audience. Is there something like general that all media channels are looking for. Andrew: I think that definitely you should address in your pitches everywhere so every media outlet wants to please their audience. Thats the first and most important goal and I’m sure you agree with me on that. You want to make sure that you’re keeping your audience entertained, you’re keeping them pleased to any given value of content. So the first thing is you always want to make sure that you’re offering valuable content in a different way than they’ve heard it before. So it’s finding a different way to give different content than you know their previous guest is doing something different because they want to get it that’s their audience they always want to give them something different something new a different way of thinking a different way of you know acting on a certain type of strategy or niche. And then other than the content I always say always suggest something free for the audience always give away a free gift. You know mine for this podcast is a three step guide to media exposure. Where they can you know going get it for free and they can take these three steps to see immediate action or immediate change around the media exposure. So I always say always always offer something for free to the audience so that way you’re giving that these people audiences something valuable as well and something they can walk away with so they have more than just the podcast they have sent they can go and get in and actually start to take action on. And those are the two main things is you want to provide the valuable content and you always want to give something away for free to the audience that’s going to benefit them. Ani: OK, so let’s look at the best case scenario let’s say we started small, we did everything right. We got media exposure and it’s growing. We become popular and now how we end up having requests from media to be there. So what do we do? Let’s say the time is limited and we have to pick or choose some of those. What is the criteria? How does one chooses where to go and where not? Andrew: So this is something I do for a lot of my clients is it’s all about research. You want to make sure that you’re researching and that’s even before you become popular, before you become very busy you always want to do that research and make sure that whatever media outlet you’re going on is going to benefit you and benefit your brand. Even if you’re just starting out you still want to make sure that you know you don’t want to go as an author to speak on a video game podcast that makes no sense. You know it’s funny to see a lot of entrepreneurs doing that just starting out as I’ll go out and just blast everybody and get anyone who will have them on any show and I always tell them that’s not good for you and you want to make sure that you’re getting in front of your core student heard avatar. You don’t want to be getting in front of a bunch of random people you’re wasting your time. It’s not going to look good on your portfolio. Just focus on the ones that’s going to get you in front of the people you need to be in front of. And then along with the research you want to make sure that especially as you’re getting busier and busier you know I work with some of the top entrepreneurs out there who are extremely busy in have various requests coming from all types of podcasters and I always make sure that I’m getting them on ones that have been around for a little while and have a good review rating and have a good amount of reviews so you know I usually tell my private consultant guess I never get them on projects that have less than 40 reviews on it. If I can find the depth amount down as they have a look into that as well but I want to make sure that it’s getting that in front of a good audience because most of my clientele private consulting clients I don’t you know they’ve already been on a lot of podcasts so focused on just getting them on in those that will have them that match their niche. I’m focused on getting them on the ones that have good followings and the ones that are going to benefit them the most. Ani: Okay yeah. Makes sense. And I guess I don’t know unless you want to add something as a as a final advice we can sort of wrap it up. Andrew: Yes so there’s one last thing in this is that that’s going to really help everybody out there. So what you want to do is you want to go to Facebook and you want to create a Facebook ad and here’s something I’ve been telling everyone because it’s the most simple thing that no one has thought about before you created Facebook ad. And in this ad you put you make a 60 second video in this video you’re talking to podcasters, bloggers, contributor reporters, journalists and just telling people – hey this is who I am this is my story. I would come and share my story with your audience on your media outlet. You target that Facebook ad to target people with the job title podcaster or blogger, journalist, contributor and if you want to target certain companies certain big magazines you can always do that as well. But that’s that ad right there gets you some media requests flowing in as long as you’re spending a good amount of money on it. It’s going to get media requests flowing in if you don’t want to sit there and have to consciously take the time to reach out to individual media outlets as a way to start getting people to reach out to you because they use Facebook just like you do and they watch a video saying hey this is my story I would love to share my story with your audience. You’ll start getting the requests coming in to you. Perfect OK guys go record 60 second video! Put it as a Facebook ad and let’s see what happens I mean I would love to get feedback for those who try to just e-mail us. Email me to ani (at) anialexander.com and I’ll share the feedback with the entry of and then we can sort of you know be happy for your success. Ok thank you very much for coming over I really enjoyed this interview and I wish success to you and your clients because it’s really nice to get where you want to be. Andrew: Well thank you very much. Maybe I’ll see you in London this summer. Oh yeah that would be great. Well that’s that’s all we have for you today I hope that that keeps that Andrew’s shared will really help you get on media and get the exposure you deserve. 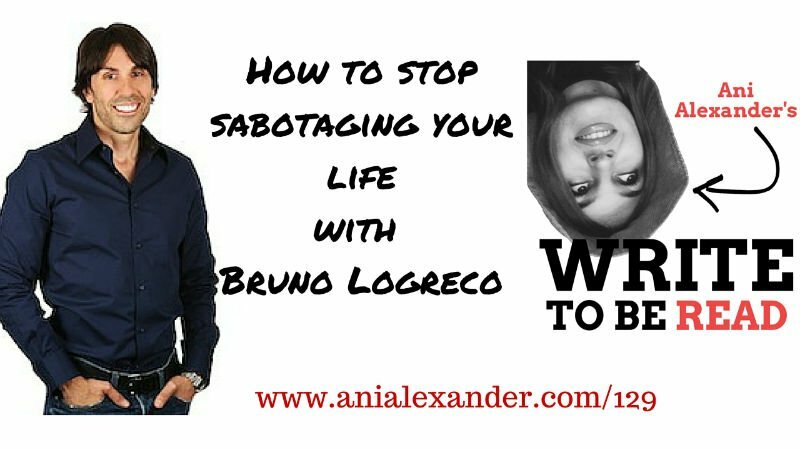 Today I am talking with Bruno LoGreco. He is a master life coach, mentor and the author of Stop Sabotaging Your life, 3 Steps To Your Full Potential. If you are Write 2B Read podcast listener and have written and published your first book thanks to the knowledge and the encouragement you got from the podcast, please drop me a line and I’ll feature you in podcast’s special episode!